Losing someone you love is hard. It’s confusing, and exhausting, and nightmarish, and transcendent, and beautiful. Beautiful not in the sense that it’s good, but in that it allows you to remember the good and realize there’s still some left. Death is surprising like that. As I watched Piper fight cancer, and as I fell more in love with her with every day, I often wondered what would happen to that love when she died. Would it fade? Would it disappear? Would it stop growing but still be mine, bounded on either end by her birth and her passing? What would I do with all of it? What would it do to me? As is so often the case, I was wrong about everything. It’s like when Carrina was pregnant with Piper, and I tried to prepare myself for what it would be like to be her father. Logically, I could think about what it might be like. I could picture myself as a dad. I could imagine what Piper’s face would look like. I could try to predict what that bond would feel like. But as every parent realizes, all of my planning was a bad placeholder for the real thing. One cannot prepare for things like this. Until it happens, there is no analog. I’ve had a lot of cause to reflect on my love for Piper. It’s been six months since she died. What would have been her fifth birthday has come and gone without her. I have 36,000 photographs on my phone, and she’s in most of them. Each one records some moment of our time together. 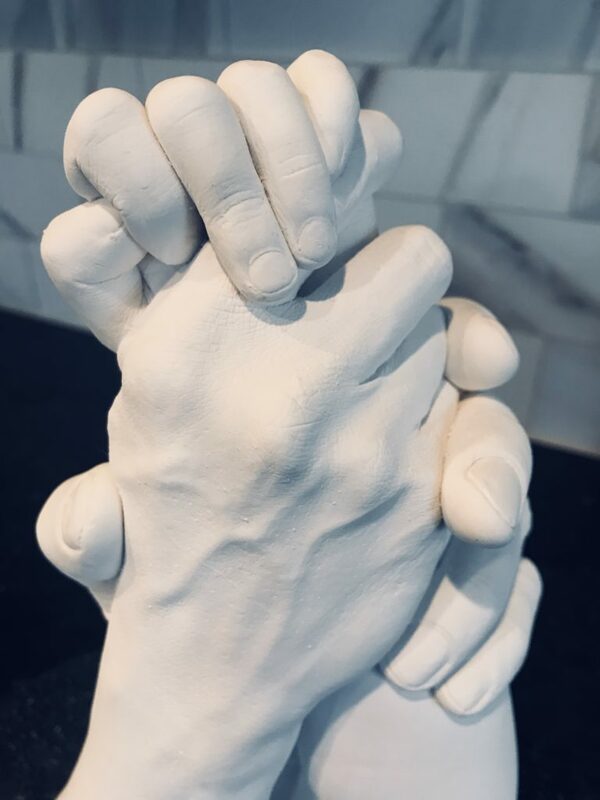 Memorializing our family when it was still complete, often taking for granted that our wholeness was, more than anything, all we ever really needed. Every now and then the universe reminds us to open our eyes. To see that what we need is what we already have. My reminder came shortly before Piper was diagnosed. Carrina and I were in Chicago for three nights, and we brought along an old digital camera. We sat down to our first meal together without kids in 3.5 years, and I snapped a photo. As I inspected it, Carrina wondered what else was in the camera’s forgotten memory banks. There was a single video of me and Piper a few minutes after she was born. She was laying on the warming table crying, and I was holding her hands, whispering to her. As I sat watching the video, I remembered what it felt like to see her, touch her, and hear her for the first time. I cried as I watched, reminded of these wonderful things. 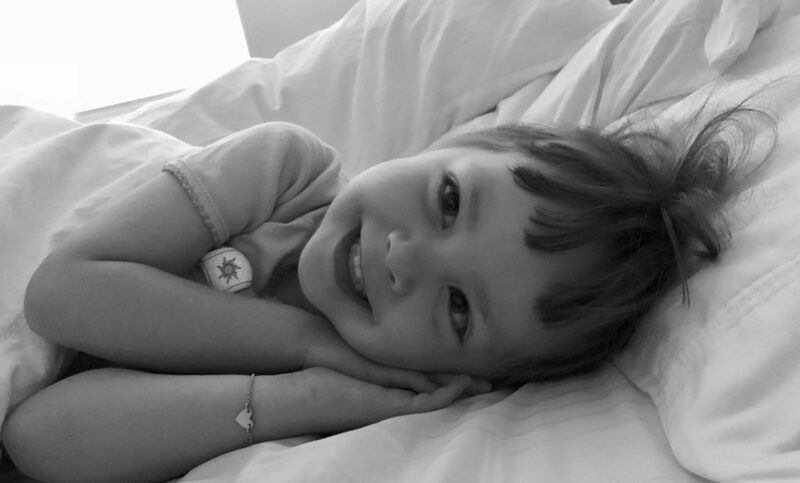 In a cruel twist of fate, 10 days later Piper was diagnosed with an incurable brain tumor. Our lives changed in an instant, and she fought damn hard for 16 months. We all did. I think of that moment in the restaurant a lot now. Of the sublime reminder of what I had before I knew I was going to lose it. About how I had seen the reminder, felt its message, and heeded its call. I think about how I wish it was just a reminder and not an ultimatum. And then I think about my love for that little girl. How far and how wide it goes. 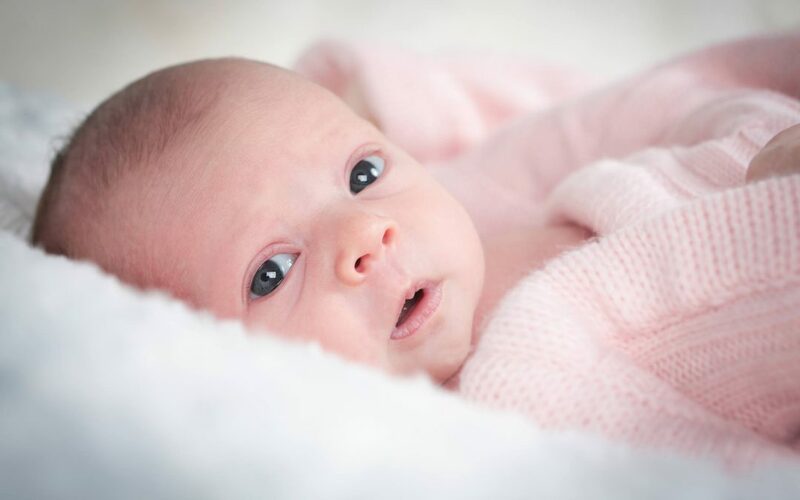 I think about what happened the moment she was born, how she opened her big blue eyes and saw me. I think about how in the chaos of that moment, the room went silent for one second while I saw her soul. I think about how all of my thinking, and all of my planning, did not prepare me for what it was like. I think about the ineffability of what I felt. It was as if a new and wonderful part of my heart had been unlocked. It had always been there, but she showed me where it was and then made it her own. Four years later, the terrible wisdom that followed Piper’s death has proven me wrong again. All of that ruminating about where my love for her would go, and all of that worrying about what it might do to me, was a poor substitute for reality. Even though she is no longer here, and even though I’m painfully reminded of this every day, my love for her has not faded. It has not disappeared, and it is still mine. The truth is that I love her more. I know precisely what to do with it. And I know exactly where to keep it: In the place she unlocked that exists just for her. That place can never be empty again, and it can never have too much. have defined, but which seemed to them the only desirable thing on earth. Our search for peace and understanding is as recurrent as the number of seconds in a day. I imagine this feeling – of having to consciously breathe – will not waiver for a very long time. I wouldn’t expect it to. In simple terms, we miss her. Constantly. Memories of Piper are the bookends to my day. My last thought each night, my first thought every morning, followed closely by the acknowledgement of her absence beside me. As I walk through the early motions of my day, the gaps fill in, the context refocuses, and I begin to feel the familiar hurt grab hold. The wholeness that was present even as Piper fought (especially as she fought) has gone missing. Our love for one another was magnetic. She pulled the matter of our days into something that resembled structure, her presence was a constant force, and in turn our direction unquestioned. We held tightly to our shared purpose. Now, our souls feel lost. As if our physical bodies are left searching for the half of our hearts that died with her. The fact that living with what feels like a knife in my chest is survivable, but DIPG is not, is something I will never understand. In these long days without her, some hours are kinder than others. My thoughts wander in all directions like a forgetful bird from branch to branch… sometimes I land on agony, sometimes hopelessness, sometimes disbelief, sometimes numbness, sometimes stinging anger, and sometimes – briefly – peace. When I picture Piper, whole, in paradise, able to be the child she truly was, I do feel immeasurable peace. It allows me to see around my own pain to the mercy that she suffers no more. Although, some days I never get past wondering why she got sick at all… the odds, the smallness of a single errant cell, the ill-fated genius of our bodies. I find peace in imagining our reunion, where she answers all the questions that weigh on me. I find peace in the archives of our memories, where I can recall exact moments and hear her euphoric giggle in my ears. Watching Harlow develop into a simultaneously similar and distinctive personality brings me peace. The fact that Piper’s warriors still grow in number, still continue the momentum she built to raise awareness, to fund research, and to support other families, brings me peace. But through it all, the inconceivable missing and longing for her is always, always there, like a very heavy coat I can’t seem to remove. It can’t be removed, because I’m still so cold. After Piper was diagnosed, I hated hearing that her death from DIPG was unavoidable, an eventuality I had to accept. I could not bear to hear it, even if I understood it. Now I feel just as hostile to the thought that I will never again in this life hold her, kiss her, or put her in another costume. I know it is so, I watched her light fade from me. But the very idea seems impossible. Like she’s only out of reach, not gone from this world. These are the thoughts that leave me feeling lost and directionless. Because the world just feels so empty without her in it. That life can and does go on will never feel right or just. Piper desperately wanted to be five. It seemed to her to carry an authority that four could only allude to. As we prepare to face what would be her 5th birthday without her, the age she assumed would promote her to grown-up liberties like not holding hands in parking lots, operating the oven, choosing to drink only “brown soda,” or maybe even inhabiting a house of her own, I can’t say I’ll be strong. I’d give absolutely anything to be planning her party instead of bracing for a typhoon of heartache. Everywhere I look I see things she would have loved, or things we would have loved surprising her with. No, I can’t say I’ll be strong on December 18, or December 25, or any of the endlessly hard days ahead. But I can say I’ll keep seeking peace. Knowing without question that Piper left this world better than she found it is perhaps the greatest peace this situation can offer. Knowing that we were present to hold Piper’s hand through every trial of her life is strangely comforting too. When it comes to the profound grief of losing a child, time is no remedy, it’s merely a measurement. I could live a million lifetimes and still ache for Piper. But I’m hopeful time will soften the edges of our hurting, until eventually our longing brings only warmth. The last thing she asked for was chocolate cake. The last thing she did was nod when we told her we loved her. She was brave. She was strong. And she was not afraid. With broken hearts we share that on Friday, Oct. 19, at 7:49 p.m., Piper took her last courageous breath. She was at home, in our arms, surrounded by family. We had little warning that the day would be her last. She woke up early, as she often did, wanting to watch a cartoon and eat cereal. She was a little more sleepy than usual, but she was just as smiley and giggly as every other day. At noon we put her in the car to go to Children’s Hospital for routine blood work, and as always, she ate more snacks and gave more giggles on the way. When we arrived, I picked her up and she fell asleep on my shoulder. I could feel her heart beating a little faster as I carried her to the seventh floor. When the nurse arrived to take Piper’s vital signs, we had trouble rousing her and her breathing quickened. In less than five minutes from when we left our car, Piper was on oxygen and a team of doctors and nurses were caring for her. They gave her morphine and told us it was time to start her on Dilaudid and Versed to make her more comfortable. Piper wanted to be at home for her final moments, so we drove back to Castle Rock. As always, she gave us some more smiles, and she ate some more snacks on the way. It was as if she knew she needed to be home and had been waiting for us to get there. As soon as we carried her inside and held her on the couch in our arms, her pupils narrowed and her heart started pounding. Her breathing became fast, and shallow, and she was struggling to breathe before the hospice nurse arrived and administered IV Dilaudid. She smiled at us one last time before beginning her journey. She was not in pain as her breathing became sporadic. We told her we would love her forever, and that she was the bravest person we knew, and that we were proud of her, and that she made us happy every day, and that we thought she was perfect . And she nodded in agreement, then squeezed our hands to let us know that she knew all of these things . . . . And when it was time to go, she knew it was the right time. And when she went, we thanked her for showing us what true love is. She woke before dawn and passed when the moon rose to take its place in the sky. She squeezed every drop of sunlight from her last day on Earth. Mama and Daddy love you little dove. Lead the way sweet girl. Then come find us. Thanks to all who have expressed interest in attending Piper’s service. Anyone who wishes to attend is welcome to join us in celebrating her beautiful life. September is the month when parents, families, patients, survivors, and advocates ask the world to “Go Gold” in support of Childhood Cancer Awareness. It’s just 30 days of the 365 in a year. Truth is, we do this every day, but September provides the platform for concentrated effort. Like many others, this September I shared statistic-filled posts, informative videos, personal accounts, and made a plight to fundraise. I believe we made an impact, and I’m proud to say Piper’s Warriors came through to raise $4,560 for The Cure Starts Now. Thank you! It cannot be said enough; these dollars are vital. Independent efforts like this are the only thing we have to combat the horrifying funding gap. These dollars are the only reason research moves forward. Love and support poured in from across our community. A thousand dollars from Piper’s bracelet initiative, a thousand dollars from the Cherry Creek Bruins softball fans, a thousand dollars from “Piper Day” at Victory Love + Cookies. 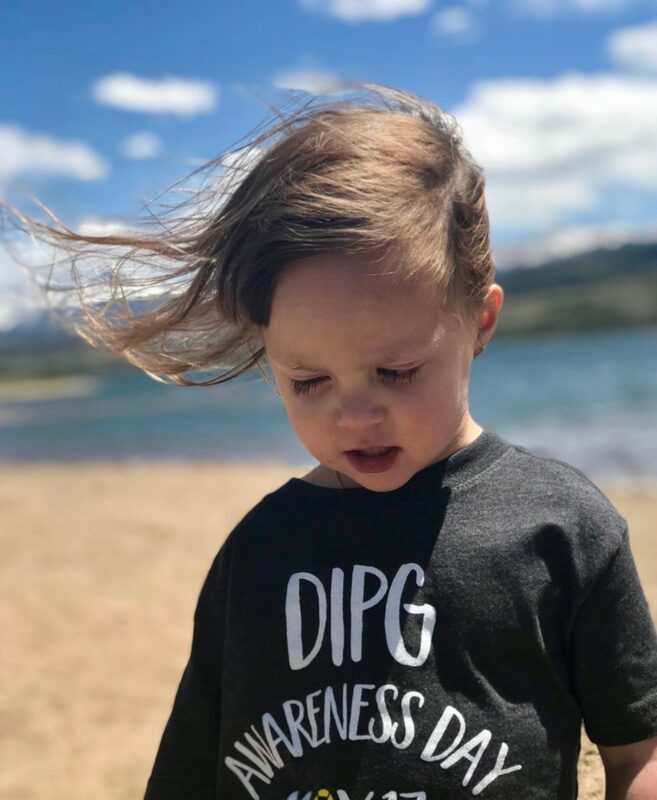 Piper even had a 10K swim across Horsetooth Reservoir dedicated to her in the name of DIPG research. There were countless individual donations, exceedingly generous donations, repeat donations. The Castle Rock Police and Fire Departments surprised Pip with a parade of vehicles, balloons, and gifts to show their support of her. I want to call out a few individuals here, but I won’t. I’ll simply say that many kind people made this month shine. The spotlight on childhood cancer could not have come sooner. Every day of September carried increasing reminders of DIPG in our lives. Piper’s cheerful disposition was disrupted again and again by frustrating limitations. She’s justifiably upset. She’s understandably weary. She asks questions for which there are no answers. The last 60 days have taken a heavy toll. While Piper remains on the ONC201 study, she’s beginning to struggle with the capsules. If her swallowing declines further it will prevent her from participating. Before this point, Piper’s still-present abilities provided the counterweight we needed to withstand. But the arrival of Pip’s worries que our own. The deepest fears we set aside 15 months ago in order to live are knocking on the door, reminding us they haven’t gone. Much like the changing seasons, transformation is at hand. It’s a delicate state. Impermanent. But that’s what makes it sacred. Piper is something gold, someone to behold. This experience has shown her truth. She is innocent, wondrous, deserving. We want her more than we want life for ourselves. I cannot conceive of a future without her, and yet I know we cannot ask more of her. Not even nature can hold on to its golden leaves. No matter how beautiful they are. I hope this update won’t be read as a loss of hope or faith, but an admission of reality. Hope is our currency and always will be. But denying this reality does not make it untrue. Only righting the problem can do that. That’s why we must share truth, as we did all September long. We have to acknowledge it, however difficult, so we won’t lose sight of the need. As August began, so did subtle changes in Piper’s symptoms. Walking became more difficult, and her right leg struggled to keep pace with her left. Although wobbly, she could still get around, which meant we still had to remind her to slow down. But each passing day brought more decline in balance. At this point, hand-holding is a necessity even short distances, and she is unable to stand or walk unassisted. No four-year-old takes losing their independence lightly, so after several weeks we found a reverse walker in her signature pink to bridge the gap. Alongside Pip’s mobility concerns came changes to her speech. Words are becoming more labored, annunciation blurry. The mouth secretions we noticed in the days before her diagnosis have returned. 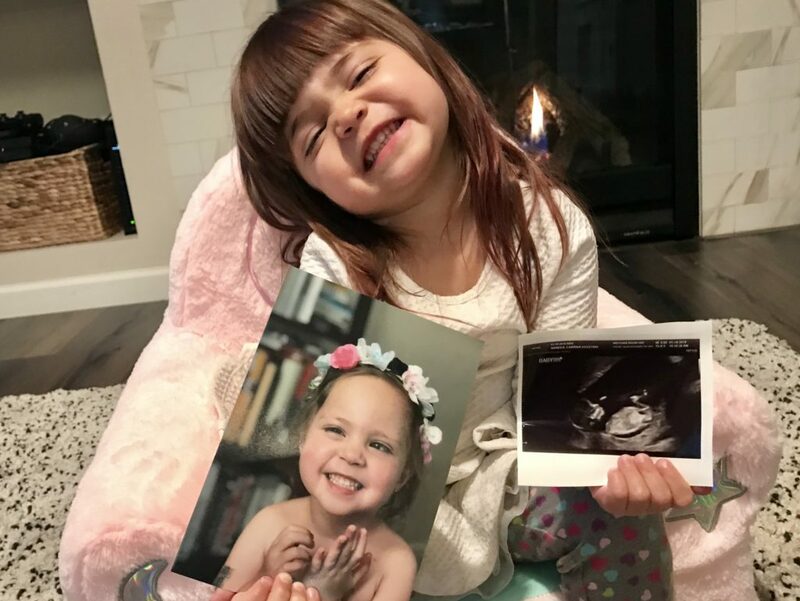 The changes we saw creeping in over the preceding weeks were confirmed in her recent MRI. Piper’s tumor is growing, and it is affecting her cerebellum. The benefits gained from re-radiation lasted about three months – nearly the timeline it took to obtain ONC201. Fortunately, Piper was still permitted to begin the drug. ONC201 comes in the form of two white capsules that require a two hour fast before and after dosing. Piper started her first three-week cycle on Aug. 20. After nearly an hour of coaxing, she reluctantly swallowed the pills. The second week went similarly. This week, however, Piper was unable to keep the medicine down. Protocol does not allow for re-dosing, so we await the start of her second cycle, and hope it’s more successful. While we don’t know what benefit it will have at this stage, ONC201 represents something to hang hope on. As our team put it: mobility and speech may be declining, but these are not vital functions. It is impossible to predict which of Piper’s abilities will be under attack next, or at what rate. Every tumor grows differently. We pray her breathing, heartrate, and swallowing hold steady and allow her to keep fighting. Even so, continued fight comes at a cost. The extended use of Avastin has caused Piper’s blood pressure to rise. Her labs also indicate it is beginning to put strain on her kidneys. We have started her on blood pressure medicine and will continue to monitor these changes. Like the choice to re-radiate, the benefits of using these drugs outweigh the risks. Let that sink in for a minute, or ten. We are willing to compromise aspects of her future health in the name of the greater good… an outcome where we can stabilize the cancer and extend her life. Conversations about long-term damage, or the struggles of survivorship, are heartbreakingly absent from our appointments. Lately, right before Pip drifts off to sleep in our bed, she’ll whisper, “mama, hold my hand.” I’ll stop what I’m doing and just grab hold. I need her hand as much as she needs mine. My touch reassures her, her touch refocuses me. When we hold tight we are stronger, even on this unsteady ground. I used to hate the wind. I would describe it as my least favorite weather element, totally lacking in virtue. It always seems to show up at inopportune times, like when you’re ready to play at a park, or happen to be wearing a skirt. But now I draw new associations. The wind has become Piper’s call, and the call of her steadfast warriors. 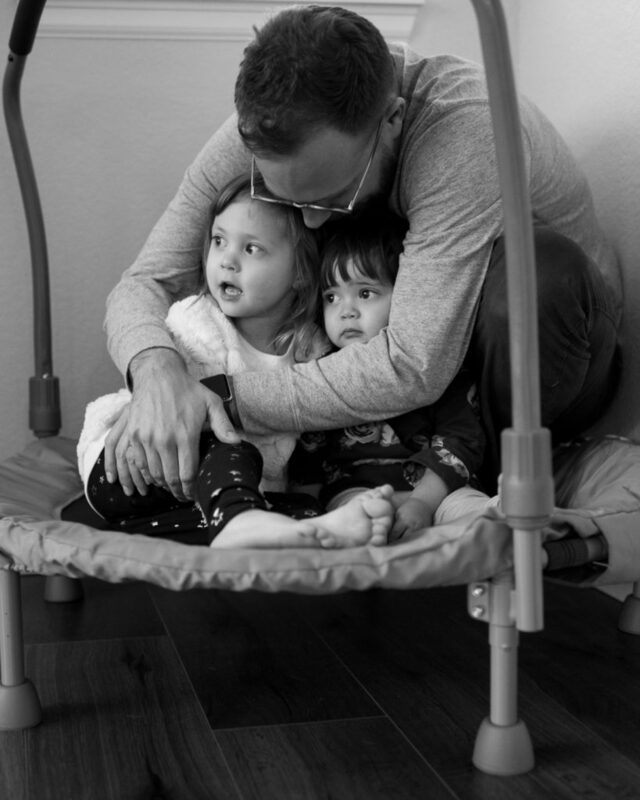 We are feeling a lot of things at 14 months post-diagnosis. Grateful, of course, but it’s a complicated place to be. The word tentative has never felt so appropriate. The slightest change in Piper can send our minds on a downward spiral. Is that a new symptom? Was she doing that yesterday? Does she seem more tired to you? The reality is DIPG is a progressive disease. At some point, the answer to all our fear-based questions will be yes. We are relieved that Piper continues to fight, and still does so with joy, and with a wonderful quality of life. But while I’m thankful for the past 14 months, it will never be enough. I want her to turn 5, then 6, then 96. I want her forever. That is the miracle we pray for every day. Like our state of mind, the wind is multifaceted too. It can be as innocuous as a breeze, or suddenly transform once-invisible air into something powerful, noticeable. It can push great ships across even greater distances. It can move deserts, change climate patterns, and wear down mountains. Alone we may not have enough to make the whole world stop and address DIPG, but together our voices are commanding. Last month we had the great honor of attending the International Symposium for Pediatric Neuro Oncology in Denver. So many intelligent and accomplished doctors, nurses, and researchers in one spot. It was inspiring to hear some of the latest discussion on DIPG. But what was generally presented as a timeline for a treatment breakthrough is 10 years. Statistically that means as many as 3,000 children will die from DIPG in the USA between now and when that illusive cure arrives. Think of how many voices will beg for hope between now and 2028? Many have asked what comes next with Piper’s treatment. The answer is “not enough.” It has been 95 days since she completed re-radiation, and 53 days since her last MRI. That means it has been 95+ days since we started talking to our medical team about ONC201, a new drug being developed to target the highly-aggressive K27M gene mutation that Piper and many DIPG patients carry. Likewise, it has been 53 days since we started the process to receive this drug on a compassionate-use basis. Our first attempt was denied with little explanation. Our team then recommended we write a personal letter of appeal. Thanks to Nelson and his law degree, we sent a 9-page letter considering and rejecting every possible reason for refusing to allow her to take the drug. This time it was enough to get approval, however the process to actually obtain the drug can take as many as 4 additional weeks. If all goes well, Piper will start taking the pill by the end of August. ONC201 represents a glimmer of hope, but again, you can’t help but put this all into context. Should it take two months and an advanced degree to get a terminal child access to a drug that could help her? While 14 months of living with DIPG is better than 9 months (or less), it’s still a life interrupted and ultimately cut short – to the tune of ~78 years. Can you imagine if a food or manufactured product was causing this much hostile and unchecked harm to children? Do you think it would take decades to address and solve the problem? Why should brain cancer be viewed differently? Think of Piper when the wind is high and welcome its disruption. We need every voice. Every word builds momentum, and eventually it will be enough to change the pattern. And I walk with the wind. The dove’s my will today. And pleased to meet the moon. She likes wherever I am. The root, the core of a cry. Love has a thing to do. The burden of this joy.